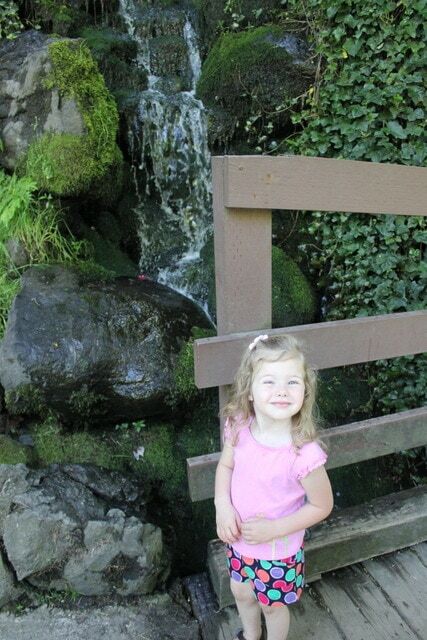 Tumwater Falls Park – Fun Family Outing! The Pacific Northwest is filled with many opportunities to get your kids out and active on a budget. At the top of that list are the many parks we have throughout the Northwest. These include National Parks, State Parks, Neighborhood Parks, Water Parks, Lakes, Skate Parks and more! We are sharing a series of park reviews, so you will have some more detailed info when planning a day of frugal park fun for your family. We would also love to hear your thoughts and opinions on these parks. 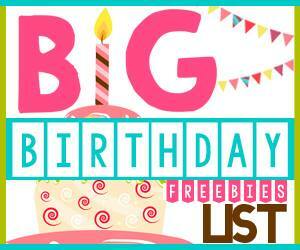 Please comment below with your review, additional tips, or anything else you want to add. If you have requests for additional parks that you would like to see reviews on please email us at [email protected] We are always looking for new ideas! We also post a weekly Frugal Family Fun roundup, of each weeks best and most affordable entertainment and event options for families. Be sure to check that out for more ideas on what to do on a budget! Tumwater Falls Park is literally right off I-5 in Tumwater (basically Olympia), so the proximity to the freeway makes it the perfect place to stop for a rest stop if you’re traveling between Seattle & Portland (or anywhere in between), or just for a fun place to visit when you’re down in the Olympia area.Even though you can see the freeway thru the trees as it’s that close, the rush of the falls drowns out the freeway noise & the beauty of the park once you embark on the walking trails makes it feel like you’re out of town in the country. This is a park with no entrance fees, owned by the Olympia Tumwater Foundation, a nonprofit group, with no parking fees & they do have several parking lots at the main park entrance with quite a few parking spots. We went on a busy Mother’s Day this year & had no problem finding a parking spot even though the park was filled with people. There is a building with both mens & womens restrooms right by the playground/picnic area. All ages. This park has a beautiful walk along the falls & river, so it really is appropriate for all ages & those young or old will enjoy it. If you have young children, you may want to bring a stroller as we saw many people pushing strollers along the path & just to keep your kids better contained on the big bridges over the falls if you’re worried about them not staying close. Falls Terrace Restaurant is actually a restaurant that sits right above the park & has a beautiful view of the Deschutes River & Tumwater Falls. However, this is a fine dining restaurant with dinners priced around $15-$25 & lunch entrees around $10-$20. My mom went there for lunch recently & really enjoyed the food & the views from the restaurant but she said it is a quieter atmosphere, so it may not be the best with small children. Definitely something to keep in mind for a fun lunch date with a friend or date night! 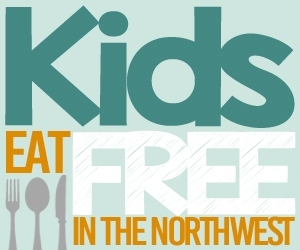 We didn’t get a chance to check out any other nearby restaurants, so leave a comment if you have suggestions for nearby restaurants in Tumwater or downtown Olympia. Tumwater Falls Park is located in Tumwater, WA (bordering Olympia) right off I-5 at Exit 103. I don’t know how I’ve never heard of this Tumwater Falls Park before as it was definitely a hidden gem (to me) that we’ve driven by so many times. This would have made the perfect stopping place on our frequent & long drives back & forth from the Seattle area to Albany, Oregon, when we lived there about 6 years ago. 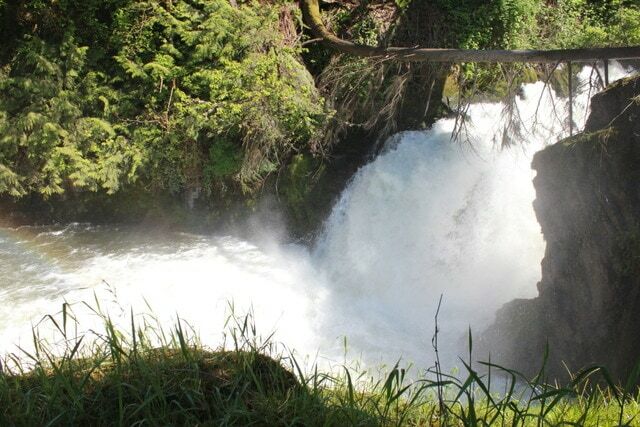 The Tumwater Falls Park is 15 acres that runs right along the Deschutes River & there is a half mile walking path where you can check out several falls including the Upper Falls, Middle Falls & the main Tumwater Falls. It is a beautiful walk along the river taking in the breathtaking falls & you can cross two bridges that span the river for even better picture-taking opportunities. We headed there after lunch on Mother’s Day & had no idea that this would be such a popular destination for such a beautiful spring day. Even though there were quite a few people enjoying the park & the trail, it did not feel crowded. My mom had been to the park a month earlier & was telling us about the beautiful falls & the park and it turned out that she hadn’t even seen the whole park. I don’t think everyone realizes that if you take the half-mile walk along the river, you’ll encounter smaller waterfalls along the way & then the 82 foot Tumwater Falls at the end where it cascades into Capitol Lake. They do have a trail on both sides of the river, but the opposite side of the river was closed for trail renovations when we went. At first, I was a little unsure of the park as the former Olympia Brewing Company factory sits on the banks of the upper falls. However, the beauty of the park outweighs the fact that the building is there & even adds character to it. You start at the Upper Falls & that’s where there’s a large picnic area, small playground area, restrooms & large grassy area. There is also a fish ladder & holding area for salmon, which is fun for the kids to check out (it would be much cooler when the salmon are actually in action moving thru the fish ladders). I will say that although the park is beautiful, the playground did leave a bit to be desired. It was pretty small with very little for the kids to do on the playground, but like I said, there is a large grassy area where you could create your own games & fun. The main attraction for our girls, though, was definitely the walk along the river, checking out the multiple waterfalls and crossing the two bridges over the river. At the end, you can go down to the bottom of Tumwater Falls & get misted as you look back up at the falls! Pretty cool! You can also see the original Olympia Brewery building which is a cool, old brick building that I’m sure you’ll recognize from your drives on I-5. There are BBQ pits & picnic tables around the main part of the park near the Visitor’s Center & parking lots (& the upper falls). The park does offer rental options if you would like to rent out the picnic areas & they also have had weddings, reunions & more at this park. There is a large grassy area when you first drive in which would be great for some fun outdoor games. As we were leaving, we also noticed a large playground area about half a mile away – it turns out that there is another nearby park called the Tumwater Historical Park, which is on the shores of Capitol Lake & near the historic brewery & it looked like they had a much larger play structure. 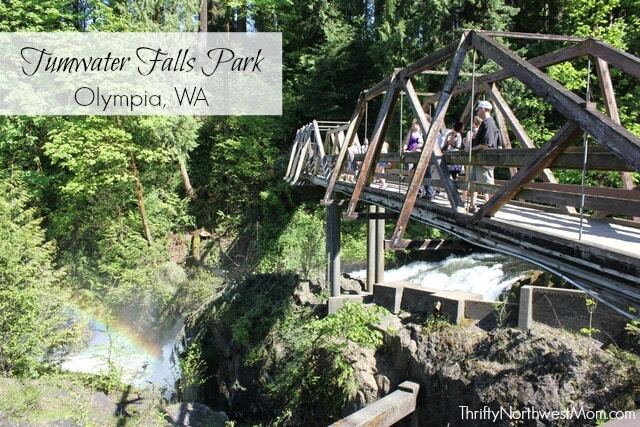 So, that will definitely be on our list to check out the next time we head to Tumwater Falls as I think you could make it a longer outing with a trip to both parks & more playtime at the historical park. If you’re passing thru Olympia & looking for a place to get out & enjoy some fun or if you live in the area but have never been, you definitely have to visit this park! It’s definitely one that we will be heading to during the different seasons (I think the autumn season will be beautiful with the changing colors) & it’s the type of park you’d want to take your guests to visit as well! 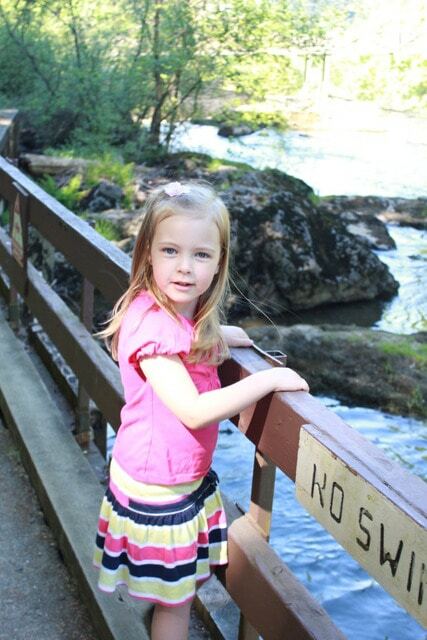 Have you been to Tumwater Falls Park before & do you have any additional tips to share with us? What did you think? 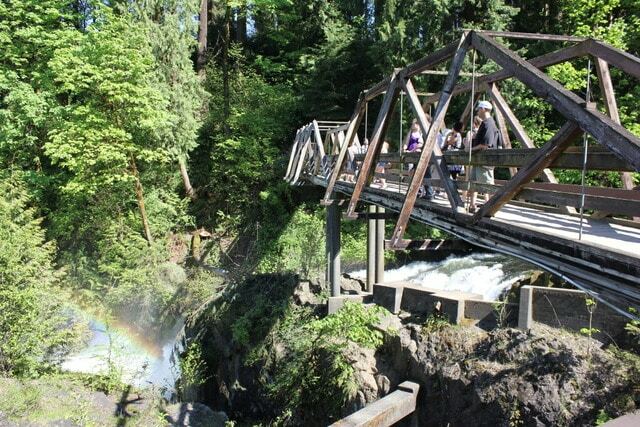 Bridge over Tumwater Falls with a cool rainbow effect with the mist! I have grown up with this park. It is very breath taking each time I visit. 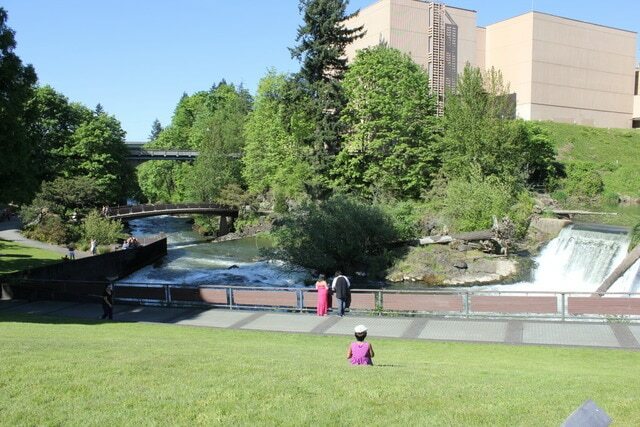 The changes that have happened since the Olympia Brewery was sold, have changed the smell and feel of the park…but the falls have never changed. I do like the fact that it is a quiet park for a nice romantic walk or spending the time with the kids enjoying tossing sticks into the water and watch them fall. I have lived in the Tacoma area for many years and found this place a few years ago though a book I have with trails featuring waterfalls. This place is absolutely beautiful and I love taking my kids there. Great Park we go all the time, Great for weddings, birthday parties, Grad Pictures are a plus. Love watching the salmon go up stream to.